The new compact Cajun SUV will be aimed at younger customers who can't afford the Cayenne, currently the brand's best-selling model. Volkswagen AG's head of production predicts that Porsche AG's next model line will be produced at the sports car maker's factory in eastern Germany. "There hasn't been a final decision, but I see the Cajun at Porsche's Leipzig plant," Michael Macht, who is the former CEO at Porsche, told Automotive News Europe sister publication Automobilwoche. 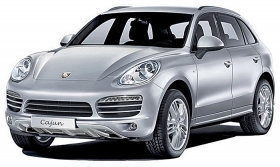 Starting in 2013, Porsche will produce a new compact SUV, code-named Cajun, which is expected to use key components from the Audi Q5. In December, the Leipziger Volkszeitung newspaper reported that Porsche had drawn up plans to expand its Leipzig plant specifically for the Cajun and had held discussions with the city's authorities. Porsche's supervisory board will make a decision on the Cajun's production location in mid-March. VW Group, which owns 49.9 percent of Porsche, made Macht production boss for the company's 10 brands, which includes Porsche, last October. Macht was succeeded as Porsche CEO by Matthias Mueller, who told Automotive News Europe earlier this month that Leipzig and Audi's factory in Ingolstadt are in the running to get the Cajun. Without being more specific, Mueller said there would be "considerable one-off costs" if the SUV were build in Ingolstadt. Meanwhile, adding the SUV to Leipzig would mean adding a body shop and paint shop to the plant, which Porsche insides say will cost 500 million euros to 700 million euros. "If the investment amounts for Leipzig and Ingolstadt are almost the same, we will certainly opt for Leipzig and develop our own location," Mueller said. Macht told Automobilwoche that the VW Group's available production capacity is exhausted so it needs to invest to add body construction, paint facilities and assembly. "For this reason, Leipzig has a very good chance to become a fully integrated auto factory, in my view," he said. Porsche's top union leader Uwe Hueck accused Macht of interfering in the brand's internal affairs by making the comments about the likely production location for the Cajun. Hueck did not contradict Macht on the question of Leipzig becoming the production facility for the Cajun, but said: "The name of the Porsche CEO is Matthias Mueller, not Michael Macht." He added: "Mr. Macht's statements are going to cause us significant difficulties in ongoing negotiations." The Porsche supervisory board meets on March 15 in Weissach, near Stuttgart, to decide where the Cajun will be built. If Leipzig is chosen, the Cajun, which would be Porsche's fifth model line, would be built alongside the Cayenne full-sized SUV and Panamera sport sedan. The Cajun will be aimed at younger buyers who can't afford the Cayenne, which is Porsche's best-selling model. Porsche and VW are still independent companies, but plan to merge with Porsche becoming VW's 10th brand. VW Group CEO Martin Winterkorn wants Porsche to boost sales to 150,000 by 2015. Mueller's goal is 200,000 by 2018. Porsche sold 97,000 new cars last year.